Everything you need to know about the Pro Kabaddi League Individual Award Winners. 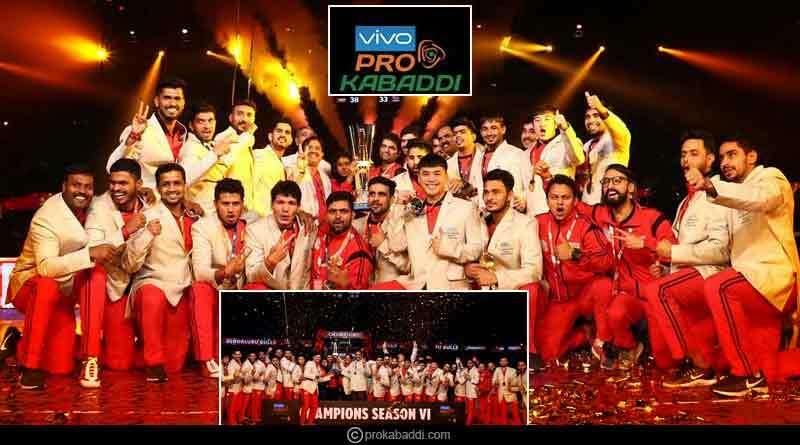 While Bengaluru Bulls won the Pro Kabaddi League 2018-19 title, overcoming Gujarat Fortunegiants 38-33 on the back of a terrific showing in the second half of the standout fixture, there was a lot at stake for players in the awards ceremony that ensured the entertaining clash. With the individual awards, ranging from the perfect raider, ace defender and season’s best debutant there were awards waiting to be handed out to the people who ensured that every game was played with all the rules intact. Having to make some of the most difficult decisions in a match, enduring a hectic season as they officiated match after match, the PKL committee had in its store awards for the best male and female referee as well. The awards held in their kitty not just a glistening trophy and the chance to have your name etched as the best player of the league in your department but to take home a nice little paycheck. From the team prize money to the individual awards cash prizes, we take a look at the amount at stake for everyone and the Pro Kabaddi League individual award winners. Bengaluru Bulls were awarded the gleaming and prestigious trophy as well with a cheque for the huge amount after winning this edition of the marquee tournament. Getting richer by a whopping Rs.1.8 crore were Gujarat Fortunegiants after they took second place, faltering at the final step. They’ll be more than ready to trade that amount with an opportunity to hang the coveted yellow metal around their necks. UP Yoddha’s right corner player, Nitish Kumar broke the 100 point barrier this season. He was an integral part of his side’s 8 matches memorable unbeaten run that almost took them to the final, scoring 36 tackle points with an average of 4.5 tackle points per game at a tackle strike rate of 78 including 4 High 5s. 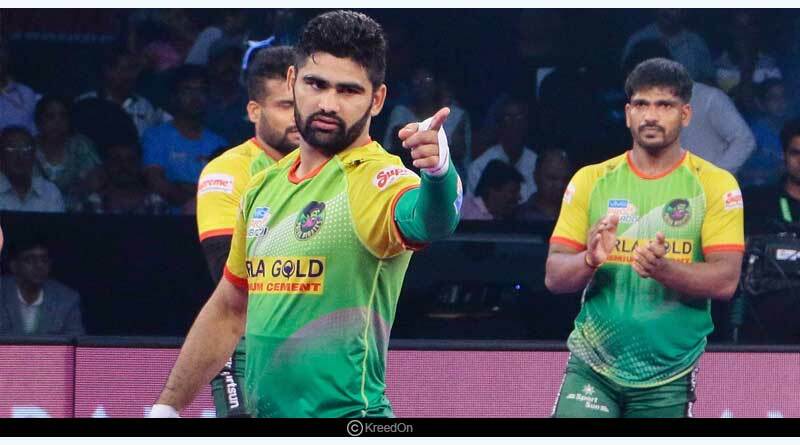 With 233 points, the Patna Pirates took up second place in the list of the highest scoring attacking a player in the 2018-19 instalment of the showpiece event. He recorded 15 super 10s in 21 matches to be award with the prestigious award. Scoring 271 raid points in 24 matches, he had an average raid point of 10.8 and strike rate of 71 per cent, emerging as the main raider for Bulls this season. With 22 raid points in the final, he helped his side overturn and overcome what looked to be an impending defeat for them at one time in the encounter. He also had the most points of the campaign with 282 and managed 209 successful raids, 12 Super Raids and crossed the 10-points mark in a match 13 times this season. 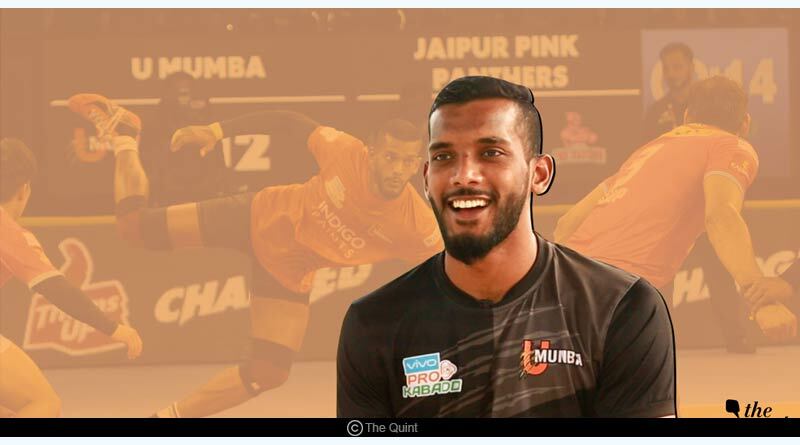 U Mumba raider Siddharth Desai finished the season with 218 points enjoying a red-hot start to the season. He finished third on the list of the highest scoring raiders for the recently culminated season. For stories like Pro Kabaddi League Individual Award Winners, do Subscribe to our newsletter and follow us on Facebook, Twitter and Google+. ← क्या आप रणवीर सिंह के सक्सेस की दिलचस्प कहानी जानते हैं?